As a family that participates in the Shul’s many programs, you know firsthand that for such a small space with limited equipment, our kitchens put out an amazing quantity of delicious food—whether it’s feeding over 100 weekly at the Kiddush, or 120 for a monthly Family Friday Night Dinner, or for just one of the many simchas we host each year—amounting to over 20,000 meals each year. A few of us have created the Shul Kitchen Fund to make sure our kitchens continue to do just that. With your help, we plan to outfit the meat and dairy kitchens with additional appliances and kitchen tools—commercial can openers, garbage disposals, microwaves, tables, serving bowls, and more—ensuring that our veritable army of kitchen volunteers has the equipment they need to create the delicious meals that are the hallmark of The Shul. 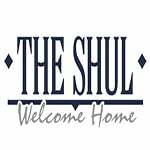 If you are able, please consider a donation to the Shul Kitchen Fund. Whether you are a “Spatula Sponsor” or an “Industrial-Sized Affiliate,” know that your donation will have an incredible impact on our Shul kitchens. * Watch New Video Here!